Description: Call us at ext. 111 for arrangements. 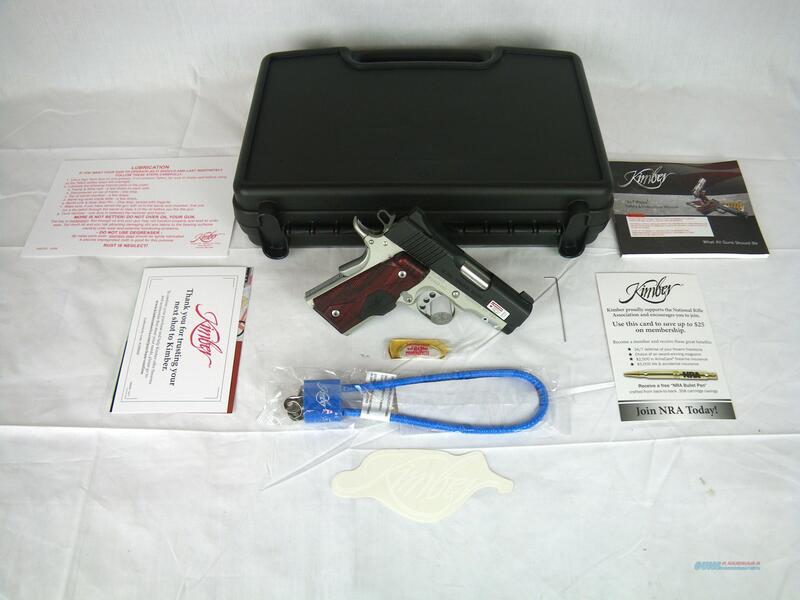 You are bidding on a new Kimber Ultra Crimson Carry II in 45 ACP with a 3" barrel. This compact carry 1911 is small on everything but features. Low profile sights have rounded edges to prevent snagging on clothing and holsters. The Crimson Trace lasergrips provide intuitive aiming. A match grade ramped bushingless bull barrel provides unmatched Kimber accuracy. Displayed images are stock photos. Any questions please feel free to ask (our phone number is in the additional information tab above).